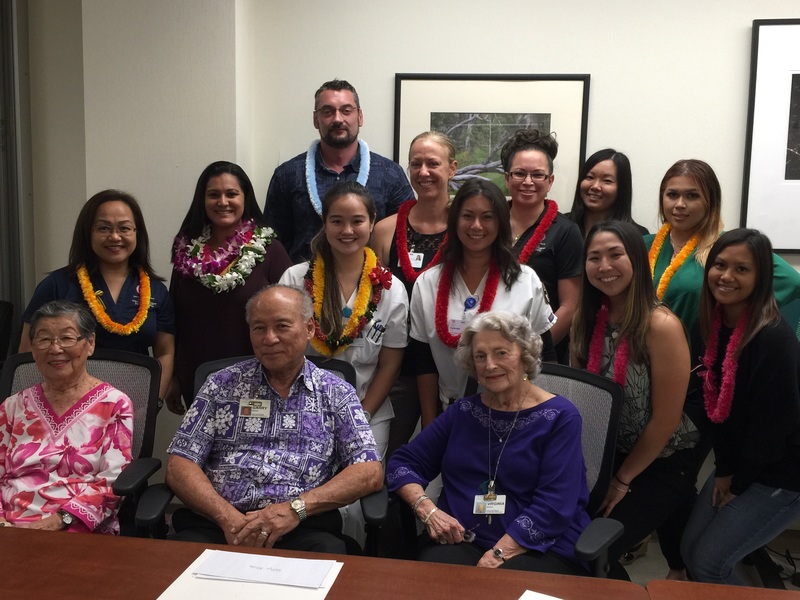 The Palm Tree Gift Shop and the Hilo Medical Center Auxiliary awarded 12 scholarships, for Fall semester 2018, totaling $15,000 to nursing students attending the University of Hawaii at Hilo and Hawaii Community College. Each recipient received a check for $1,500 which will go towards funding their nursing education. These 12 nursing students were chosen among 40 applicants from the nursing schools. Funds for the scholarships are provided by proceeds from the Palm Tree Gift Shop located in the lobby of Hilo Medical Center. The gift shop is managed by Virginia Maeda who has been running the shop for over 30 years. Members of the auxiliary volunteer their time to work in the shop. Virginia Maeda has awarded a total of over $100,000 in scholarships in the last 10 years. Due to her generosity and hard work, students have had the opportunity to continue their nursing education and receive their nursing degree. The majority of the student recipients currently work in our community. An awards presentation was done in October which was attended by the scholarship recipients, their friends and family. Presentations were done by Garry Maeda- President of the Auxiliary and Virginia Maeda- Manager of the Palm Tree Gift Shop. Leis were made by and given by Amy Higuchi, Auxiliary member.